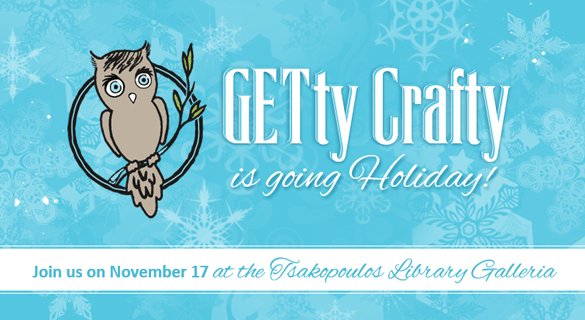 GETty Crafty is going Holiday Style! Admission: $5, Children under 5 get in free. Buy tickets online or at the door! What to expect: Handcrafted vendors, pictures with Santa for the kids, raffle, live music, and fashion show, just to name a few. We will also be holding a toy drive, benefiting Shriner’s Hospital for Children. Bring a new, unwrapped toy to be entered into a raffle for lots of donated pieces created by our vendors. Free goody bags to the first 400 attendees, one of which contains $50 to spend at the event!!! our GETty Crafty Holiday Bazaar a huge success.